When it is rainy out, you get ramen. It is practically a requirement of any rainy day, and our last full day in Hawaii was no exception. With the drizzle going on outside, we sought out a ramen joint that would sate our craving but also show us a little bit of Oahu in it. 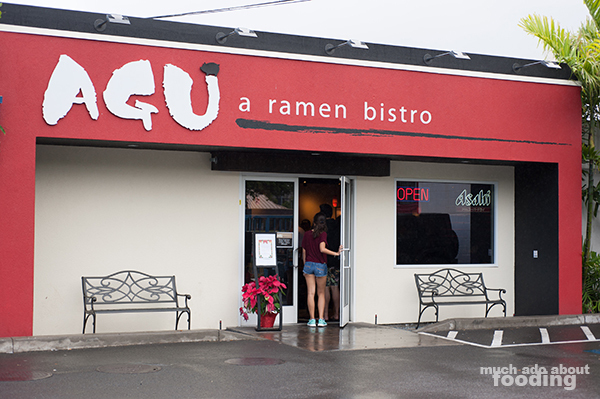 We settled on visiting Agu Ramen which happened to have other locations but was not really a chain. From the outside, it was certainly small and the parking could have been an issue if we had not luckily found a spot. We had been drawn to here too because of some limited availability dish, and we weren't let down. So how do we start? 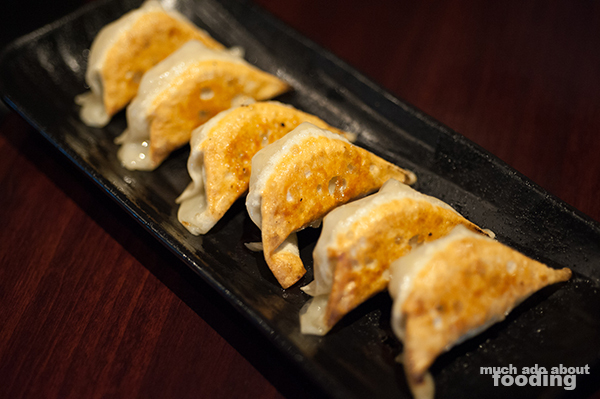 You cannot skip getting gyoza at a Japanese restaurant. It's a staple. So we ordered up their six-piece Agu Gyoza ($5.75 - ground pork, cabbage, and nira), made fresh and with the wrapper texture to prove it. These were fairly good though I could've done with a bit more vegetables. 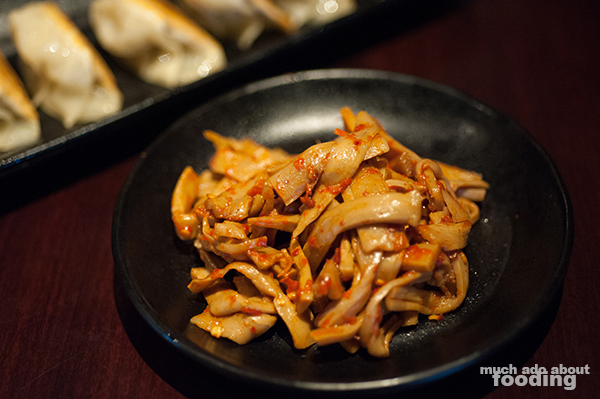 We also decided on a plate of their Piri Kara Menma ($4.75 - crunchy bamboo shoot marinated in secret spicy chili sauce). Hey, you say your secret sauce is in there? We'll try some. There was apparent heat to this and true to its description, it was crunchy. If you love bamboo, get your chompers into this dish because it is all bamboo with some spice. It was a fun palate-opener as well because it didn't burn off all of your tastebuds. Just got them primed for richer broth coming up. 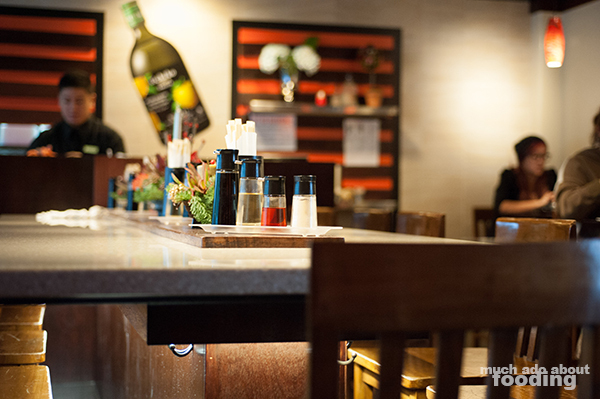 Their main style of ramen is tonkotsu, our favorite, and theirs is boasted to be cooked for 18 hours, made using hakata noodles, and topped with housemade char siu, aji tamago, crunchy menma, fresh negi, and sesame seeds. The limited availability one? 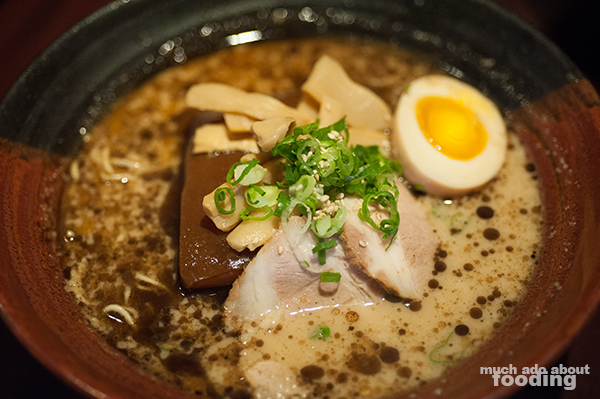 Their Rafute Tonkotsu Ramen ($18.75 - Okinawan rafute served over bonito-infused shoyu tonkotsu with black sesame paste). To be honest, while it was very good and very rich, we weren't sure that it deserved its price point. For the dish itself, the rafute (a pork belly dish) was savory and done well, and the black sesame paste addition to the broth gave it a different mouthfeel and look. It was quite the strong meal. 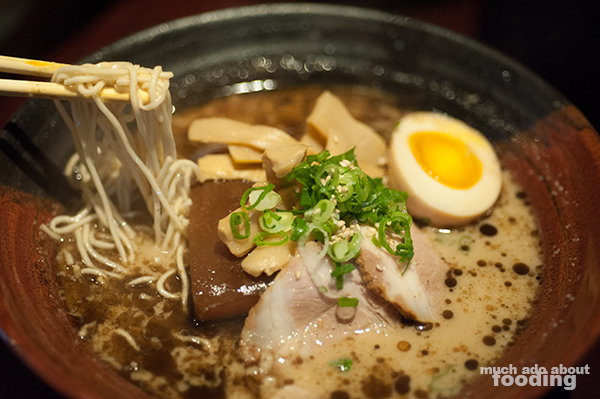 We also went for their Original Kotteri Tonkotsu ($12.75 - extra-rich broth made with black garlic oil, garlic, and silky se-abura) just to get a sense of their standard bowl of ramen. 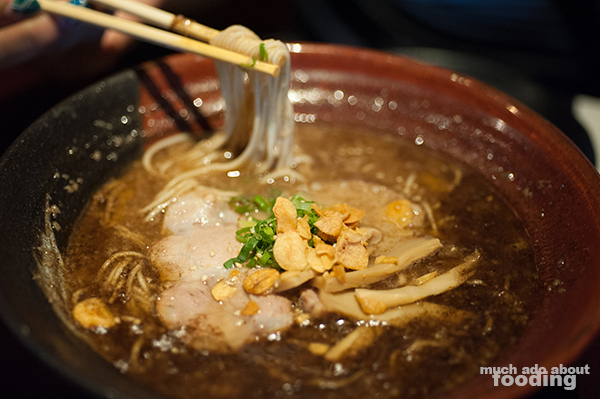 Rich, creamy with fat, and lounging in so much flavor, this ramen was a solid choice and made sense to be their typical bowl. It satisfied the points of being a solid bowl of ramen and made us think we should return another time to see what all the other versions are like on their menu!